Check out Tobi's Cozy Up Lace Up Sweater Not that you like to turn your back on people, but you'll want everyone to enjoy the back of this fall sweater. The Wine Cozy Up Lace Up Sweater is a long length chunky knit sweater with a deep v neck and an open back with a single strap. Lace up detailing up the back elevates this cozy v-back sweater. Not that you like to turn your back on people, but you'll want everyone to enjoy the back of this fall sweater. The Wine Cozy Up Lace Up Sweater is a long length chunky knit sweater with a deep v neck and an open back with a single strap. Lace up detailing up the back elevates this cozy v-back sweater. Not that you like to turn your back on people, but you'll want everyone to enjoy the back of this fall sweater. 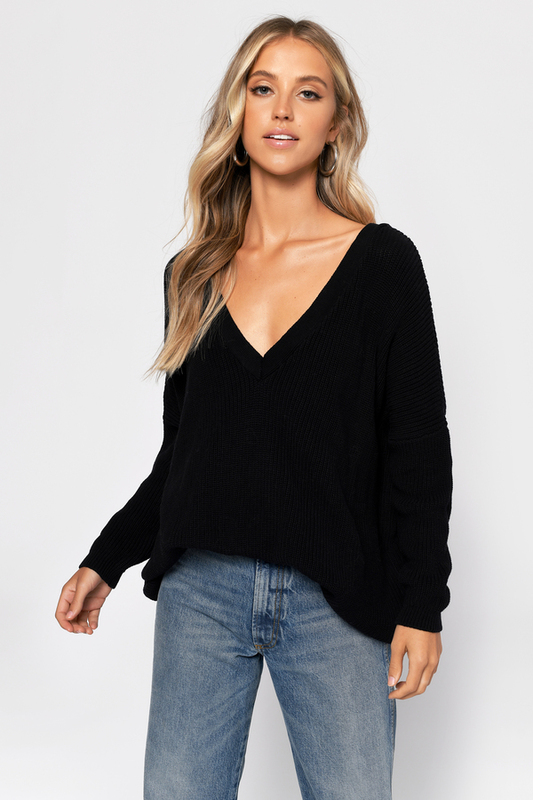 The Black Cozy Up Lace Up Sweater is a long length chunky knit sweater with a deep v neck and an open back with a single strap. Lace up detailing up the back elevates this cozy v-back sweater. Not that you like to turn your back on people, but you'll want everyone to enjoy the back of this fall sweater. The Olive Cozy Up Lace Up Sweater is a long length chunky knit sweater with a deep v neck and an open back with a single strap. Lace up detailing up the back elevates this cozy v-back sweater. Not that you like to turn your back on people, but you'll want everyone to enjoy the back of this fall sweater. 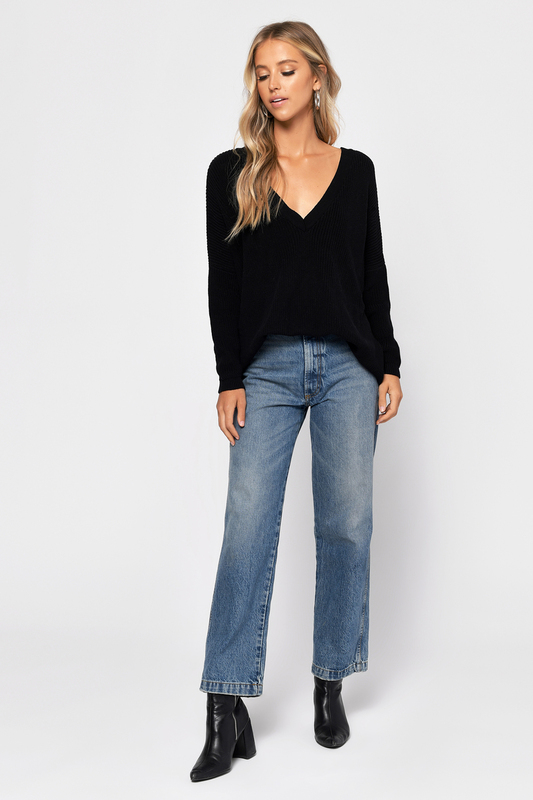 The Toast Cozy Up Lace Up Sweater is a long length chunky knit sweater with a deep v neck and an open back with a single strap. Lace up detailing up the back elevates this cozy v-back sweater.